Ian Freckelton is an experienced Queen’s Counsel with a national practice. He works as a barrister from Crockett Chambers in Melbourne, undertaking trial and appellate litigation, as well as advisory work, including internationally. He was appointed a Professorial Fellow in Law and Psychiatry at the University of Melbourne in 2013 and is a Co-Director of the Health and Medical Law program. 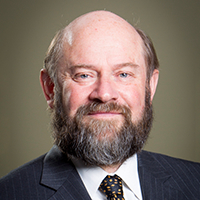 In 2017 he was awarded an LLD by the University of Melbourne for his work in Health Law. Prior to 2013 Professor Freckelton was a Professor of Law, Forensic Medicine and Forensic Psychology at Monash University. Currently, Professor Freckelton is a member of the Coronial Council of Victoria and of the Mental Health Tribunal. He is an elected Fellow of the Australian Academy of Law, the Academy of Social Sciences Australia and the Australasian College of Legal Medicine. In 2015 Professor Freckelton was appointed a Commissioner at the Victorian Law Reform Commission to run its reference on medicinal cannabis and in 2017 he was appointed to the Australian Advisory Council on Medicinal Cannabis. He is the Editor of the Journal of Law and Medicine and the Editor-in-Chief of Psychiatry, Psychology and Law. He is the author and editor of many books on health law, including in 2017 Tensions and Traumas in Health Law.